Like most of my good surfing mates, shortboarding founded the formative years of my craft. Early days banging around on Dad’s old orange single fins, or on hand me down thrusters with far too much rocker and way under volume. Back in the good old “grom” days when I didn’t know any better. After accidently falling into Longboarding my late teens I really didn’t venture back properly onto a shortboard until I started travelling the world in search of pumping beachies, and long grinding point breaks. In my transition back into short boarding I was lucky enough to surf in places such as Mexico, Peru, Southern California, Morrocco, Costa Rica and Tasmania among many other distant locations. Having a solid shortboard became part of the travelling quiver, and part of this for me always included riding variations between 2, 3 and 4 fins. In fact the variation between Thruster and Quad has become my go to swap. So naturally when Roger and I started to explore High Performance and Alternative Shortboard designs we settled on a Zombie Slayer ( 6’0″ x 19 3/4″ x 2 9/16″ 33.5 litres) as a definitive starting point. The Zombie had been refined through our man Bryce (Piha Shredder and now resident glassy at Surfline) so for me I stepped straight onto a board that really worked instantly. From memory my first surf was actually at Canggu in Bali, and it absolutely shredded. Fast and tight through turns, the Zombie Slayer was a revelation. The next step in the journey was the re-evolution of the Magic Carpet. 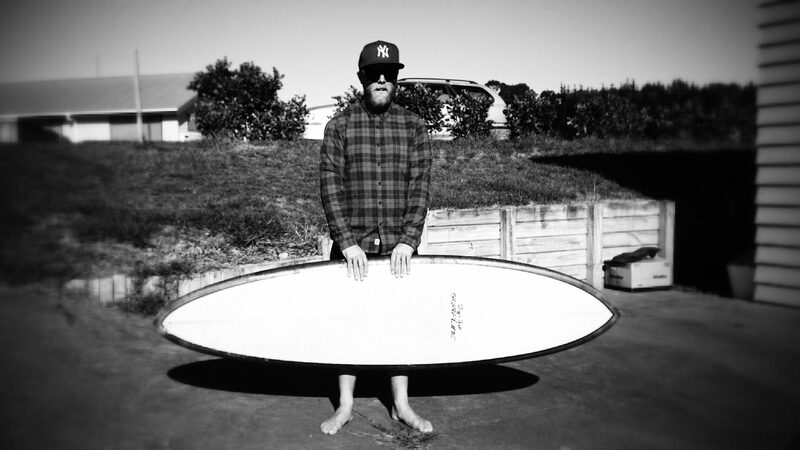 As many of you will know this board can be surfed as anything from a 5’8” through to 8’ and initially my first MC was a 6’8” Single Fin version (which by the way went unreal…..) . 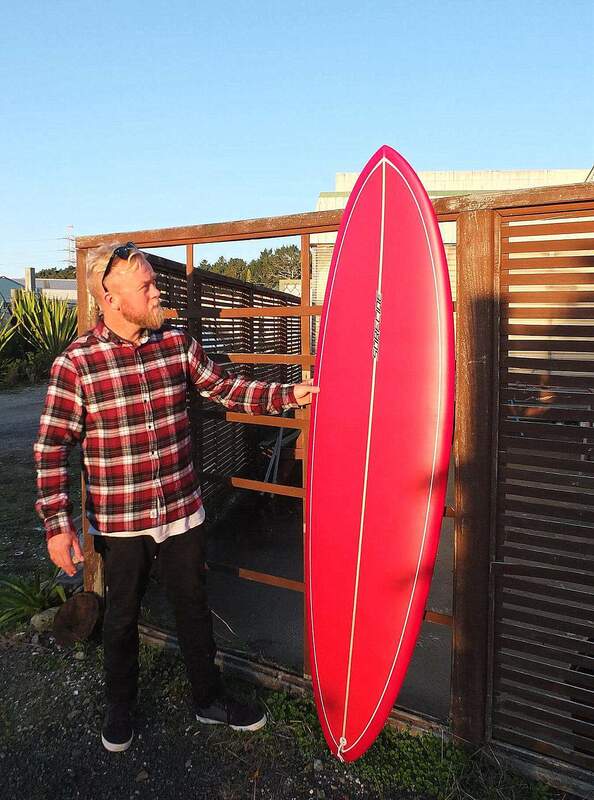 However, after acquiring a demo board (Ex- Hawkes Bay shredder Brendon Young 5’11” Magic Carpet) I never really looked back and Roger has built me my “go to” shortboard in any conditions here or afar. Sticking to my more alternative shape roots I ride the 5’11” Magic Carpet as a Quad, I have found this board to be very effective in surf ranging in size from 2-6ft and with its wider nose area and fuller volume this board really suits my approach towards surfing more high performance waves with a touch of old school good vibes in the mix. I absolutely love the freedom and flow of riding a quad, and with it’s round tail it allows the freedom when the waves get over head to really draw out your lines, whilst still being able to bang it under the lip good and proper. Good times all round!